All over the globe, mental illnesses in various degrees affect millions of peoples. Although it is no laughing matter, many great comedy films have been released about the subject matter. More often than not, some contain elements of drama or tragedy to make a statement in an effort to make an awareness point. For some, humor can provide healing values, but in the more extreme cases, that’s not always possible. Movies are the one of the safest forms of escapism, and can allow the audience to relate to experiences of which they wouldn’t otherwise be exposed. The following list is in chronological order and contains films that take on a variety of mental illnesses invoking comedy, dramedy, or tragicomedy. In the last 50 or 60 years, mental health awareness has been featured widely in cinema, and the movies included here were released between 1991 through 2014. They also contain the diagnosis, whether obvious or subtle, of the characters involved. Bob (Bill Murray), a kind but neurotic man, suffers from an assortment of phobias. After a good session with an egocentric psychiatrist, Leo (Richard Dreyfuss), he is left to his own devices when the doctor goes out of town with his family. He decides to follow them to their vacation home and befriends the owners of a coffee shop who take in the lonely man as a guest. Bob suggests that he and Leo become friends, but the doctor feels differently and tries to avoid him at all costs. However, the rest of the family emphasizes with the would-be patient and find him endearing. Directed by Frank Oz with Tom Schulman’s script, “What About Bob?” would go on to be a financial and critical success. 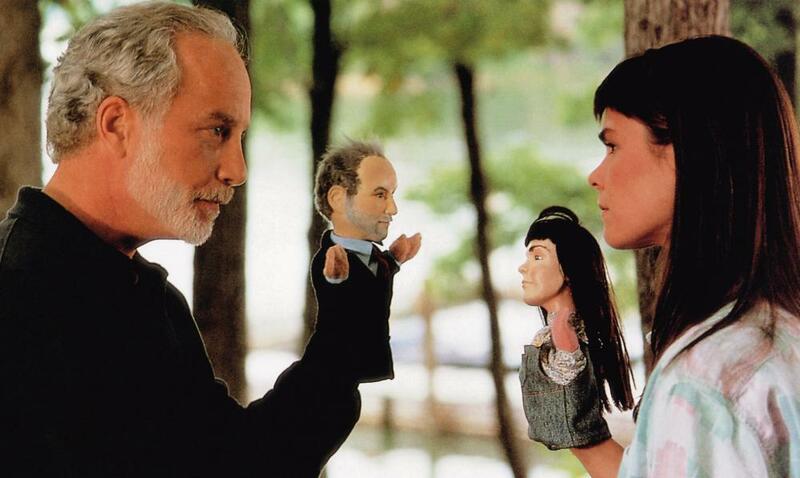 Although Murray and Dreyfuss didn’t get along during the production, their differences added to the tension between their roles. The mousy and naïve Elizabeth (Phoebe Cates) is fired from her job while her adulterous husband wants a divorce. 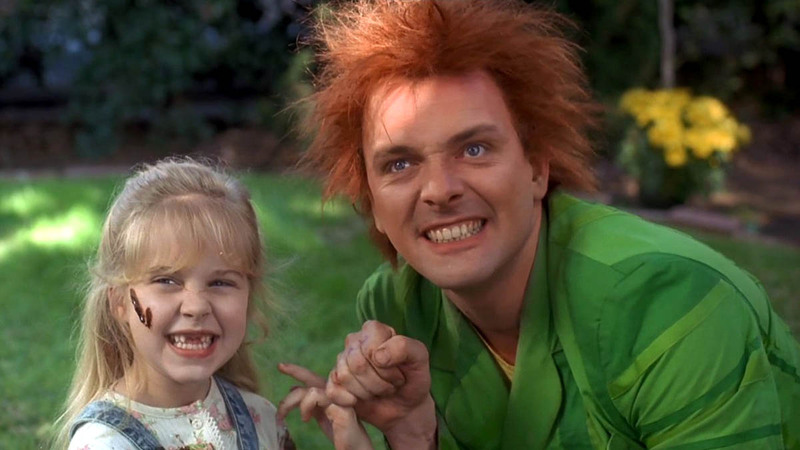 She runs into a childhood friend, Mickey, who reminds her of the troublesome imaginary entity, Drop Dead Fred (Rik Mayall). Forced to move back in with her domineering mother Polly (Marsha Mason) and the root of her youthful trauma, she discovers a taped up jack-in-the-box and breaks the seal. Inevitably, the box pops open and unleashes Fred, where he’s been locked away since she was a child. Although still mischievous, he agrees to help her with her problems. However, her mother is concerned about Elizabeth’s strange behavior and takes her to a child psychologist who prescribes medication that will eradicate her hallucinations. Directed by Ate de Jong from a story by Elizabeth Livingston, “Drop Dead Fred” is a black comedy that deals with emotional abuse and mental illness. Even though the film was a financial bomb and received negative reviews, a cult following was established by those who related to the subject matter. 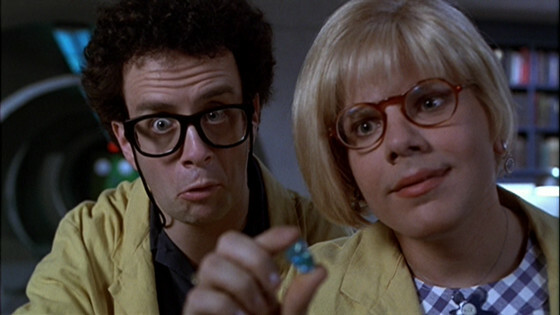 Cates and Mayall have a lovely chemistry, along with an amusing performance by Carrie Fisher. In New York, Jack (Jeff Bridges) is a self-absorbed radio personality who prompts a deranged caller to commit a mass murder-suicide at a trendy restaurant. Three years later, Jack’s career is over and he lives with his girlfriend, while spending most of his waking moments in a depressive, drunken haze. One night before attempting suicide, two thugs attack him, but he is rescued by Parry (Robin Williams), a homeless man who is on a mission to find the Holy Grail. As their friendship develops, Jack learns that Parry (aka. Henry) lost his wife due to the incident that he provoked, and hopes to redeem himself by helping him find love. 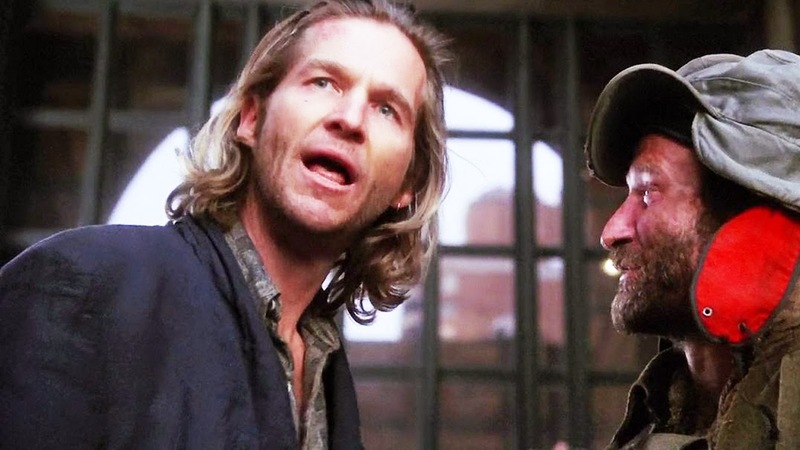 Directed by Terry Gilliam with Richard LaGravenese’s script, “The Fisher King” is a heartwarming tale about love, tragedy, and friendship. It features memorable performances by Bridges and Williams, along with Mercedes Ruehl, Amanda Plummer, Michael Jeter, and an uncredited cameo by Tom Waits. The film was well received by many, acquired several nominations, and won a few at various worldwide ceremonies, including the Oscar for Best Supporting Actress for Ruehl. Ever since the death of their parents, Benny (Aidan Quinn), an auto mechanic, has been taking care of his schizophrenic sister, Joon (Mary Stuart Masterson), and it has made him a shut-in. During a poker game, one of his friends plays his sister who loses a bet and acquires Sam (Johnny Depp), an illiterate cinephile who idolizes Buster Keaton. Reluctantly, Benny agrees to let Sam be their housekeeper and look after Joon, and eventually, the older brother tries to convince their new roommate to pursue a life as a comedian. However, problems arise when he mentions being in love with his sister. Directed by Jeremiah S. Chechik, “Benny and Joon” became a sleeper hit and one of the quintessential “date movies” of the 90s. The film deals with issues of love, separation anxieties, and the consequences of overprotectiveness. While criticized for its inaccurate portrayal of schizophrenia, it is difficult to deny the charm and kindheartedness within this romantic dramedy. Suzanne (Nicole Kidman) aspires to be a world-renowned television journalist, and marries the wealthy Larry (Matt Dillon) in order stay financially comfortable as she climbs the corporate news ladder. When her husband wants her to focus primarily on starting their family, she begins to a plot to get rid of him. Suzanne seduces the teenage subject of her documentary, then manipulates him and a couple of his high school friends into killing Larry. Upon investigating the murder, the police come across the videotape that links her to the crime. However, after the trial, Suzanne is acquitted while her younger accomplices take the fall. Based on the novel of the same name by Joyce Maynard, “To Die For” was inspired by the true story of Pamela Smart. 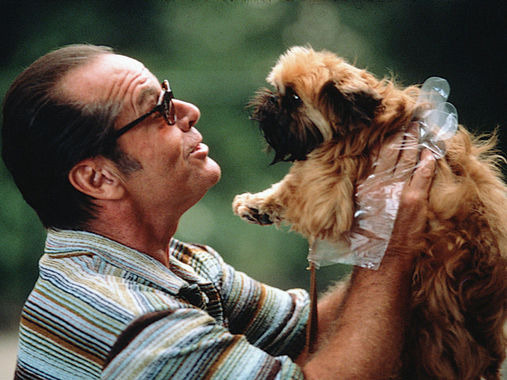 The film adaptation was directed by Gus Van Sant with Buck Henry’s screenplay, and is presented as a comedy-drama mockumentary. It features an all-star cast including Joaquin Phoenix, Illeana Douglas, and Kurtwood Smith, with cameos from George Segal and David Cronenberg. Kidman won a Golden Globe for a performance that many felt should have earned her an Oscar. A team of scientists have developed a new drug that treats extreme cases of depression. Under the pressure of their laboratory being shut down by the president of a failing pharmaceutical company, they are coerced into releasing it, even though the drug, GleeMONEX, is still in its experimental stages. Inevitably, the orange pill becomes a success by bringing those who take it to their happiest memory. However, the side effects induce comas and glitch the brain to repeat that one happy moment. Directed by Kelly Makin, it stars the Canadian comedy troupe Kids in The Hall, which includes Dave Foley, Bruce McCulloch, Kevin McDonald, Mark McKinney, and Scott Thompson performing as multiple characters. Although it received a lukewarm reception, “Brain Candy” developed a cult following primarily through the fanbase of their TV show.